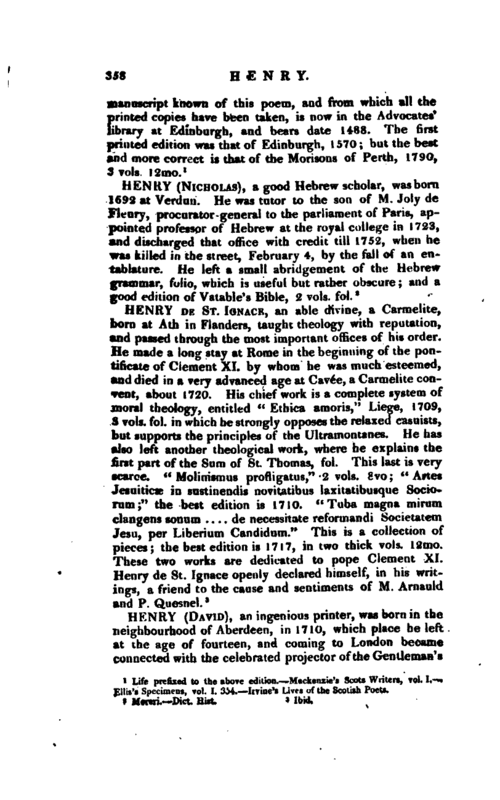 , an ingenious printer, was born in the neighbourhood of Aberdeen, in 1710, which place he left at the age of fourteen, and coming to London became Connected with the celebrated projector of the Gentleman’s | Magazine, Edward Cave, whose sister Mary he married in 1736. Soon after his marriage, he began business at Reading, where he established a provincial paper for the use of that town, and of Winchester, where he had likewise a printing-office. 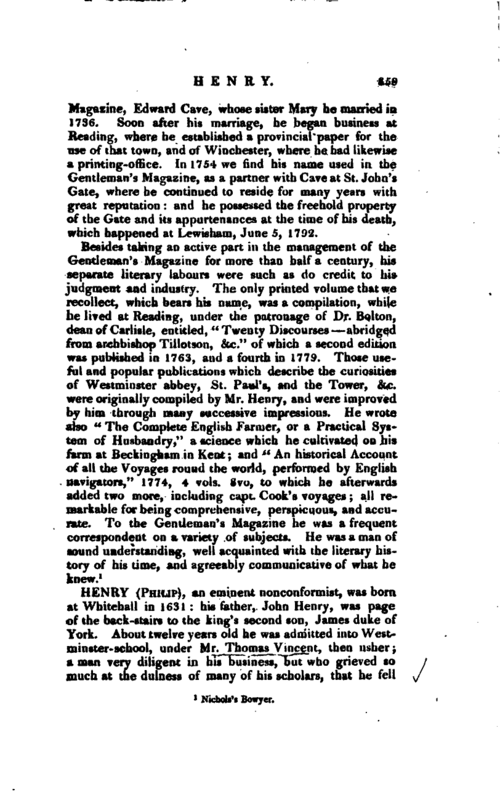 In 1754 we find his name used in the Gentleman’s Magazine, as a partner with Cave at St. John’s Gate, where he continued to reside for many years with great reputation: and he possessed the freehold property of the Gate and its appurtenances at the time of his death, which happened at Lewisham, June 5, 1792.